Monday Track Session: our weekly track session kicks off at 6:15pm in the CBS. This will be weather dependent. At the moment it is very wet and wild out there but if it clears later then the run will go ahead. 1 week left: before the clocks go forward. This will make training in the evenings a whole lot easier. This last week in March is also the last week before the new weekly time table starts. That time table will be published during the week, so make sure to visit the website again later this week. Lough Derg Sprint: gets the go ahead. Registration is open via Triathlon Ireland. More details to come this evening. Nenagh CC Club Launch: takes place this Thursday, March 27th at 7:00pm in the Abbey Court Hotel. We want all our members (seniors & juniors) to attend. Bring your club gear and any spare club gear you might have. There will be tea and coffee served at this and it should take an hour at most. Ennis Duathlon: The club had two entrants in this race. Sinnead Oakes made her season debut at the race and got off to a good start finishing in 4th in the women’s race in a time of 55:58 and winning a prize in her age group. Noel Kennedy was also there. This was Noel’s first duathlon and he very much enjoyed the experience, finishing in a time of 1:05. Well done to ye both! 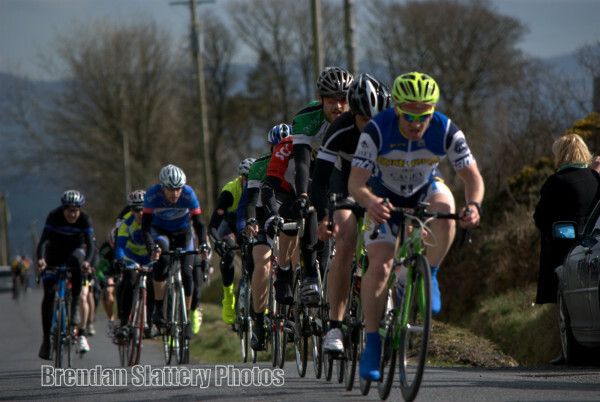 Des Hanlon Carlow: The first ‘classic’ cycling race of the year took place on Sunday with a disappointing turn out of just 5 riders from Nenagh CC. In the A1/A2 race Gary and Shane Scully didn’t feature in the points. Gary’s chain broke early in the race and Shane missed the two breakaways of the day resulting in just a bunch finish. Kenneth Kennedy, Eoin Woolley and Keith Butler did well in the A4 race. The bunch stayed togther for the whole race and while Eoin and Kenneth both finished in the top 10 at this classic race it remains to be seen whether they score points for this. 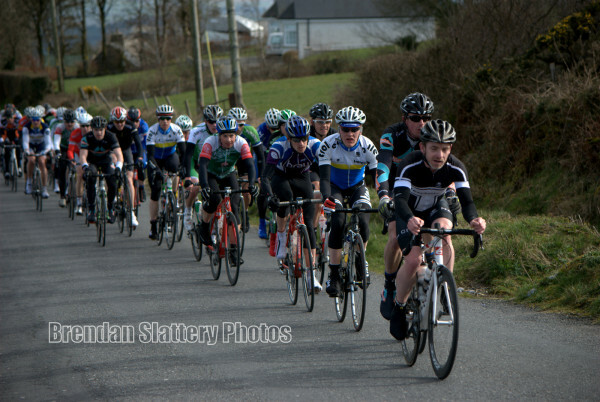 Lucan GP: Kevin Sherlock took part in the A4 race up in Lucan on Saturday but couldn’t quite make it into the points in the final bunch sprint. Other races: Darren Dunne was in swimming action over the weekend. He continues to improve his swim PBs, with new low times recorded in the 100m and 200m. Majella Moyles was in running action at the Monaleen 10k. This race contained plenty of short sharp hills to test her fitness. Majella finished in 46th position in a time of 46:59.